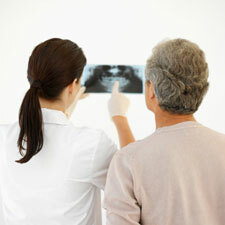 Often, there is more than one way to correct a dental problem. Hopefully, after Smart Choice Dental completes your periodic cleaning, X-rays, and examination, we will deliver to you a clean bill of health and you won’t need any further treatment. We can send you on your merry way with a new tooth brush, tooth paste and some dental floss and see you again in six months! Often, however, we discover some type of condition that needs to be addressed in a treatment plan. Perhaps you have a cavity or two or maybe you’re in the early stages of gum disease. If this is the case, we will provide you with a detailed treatment plan. What’s the Purpose of a Treatment Plan? A treatment plan outlines any dental problems we have uncovered and the options you have available to correct the problem. It is geared toward the results that you, the patient, want to see and usually offers a variety of ways to get there, based on the severity of the problem, your goals and your financial situation. It is a road map meant to bring you from Point A (dental problem) to Point B (a solution that works for you and achieves the necessary correction). If finances are a concern, we can arrange a reasonable payment plan so that money doesn’t stand in the way of your treatment. We are not the one who ultimately decides the course of treatment – you are. However, we will make sure that you are able to make a well informed decision after a thorough discussion of all the alternatives available to you, based upon your condition, your objectives, and your financial situation. It is important that you feel positive about the course of action we plan to take to correct any current dental challenges. We will explain the advantages and disadvantages of each proposed procedure, along with the length of time it will take to achieve the desired results and the cost involved. The doctor also will let you know the possible consequences of delaying action and an estimate of the additional time and cost that may be involved. The most important factors to consider when evaluating any treatment plan are your current condition and goals, the condition of the other teeth in your mouth, and your time, overall health and financial status. Keep in mind that your goals are our goals. We are here to address your concerns and we realize that you may need a few days to mull over your various treatment options. No worries – we will not rush you, but keep in mind that any substantial delay can cause additional problems. If you have any additional questions after you leave, you can always give us a call. At Smart Choice Dental, we’re only too happy to assist you. Any surgical or invasive procedure carries risks. Before proceeding, you should seek a second opinion from an appropriately qualified health practitioner such as a Specialist Oral Surgeon. We are preferred providers with Medibank Private (Members Choice), BUPA (Members First), HCF (More for Teeth Program), Australian Unity (Dentacare) as well as Smile.com.au. Other fund members such as NIB, Teachers Health, Defence Health, HBF, HIF, Frank, GMHBA, Health.com.au and GMF Health can claim your rebates on the spot with HICAPS.